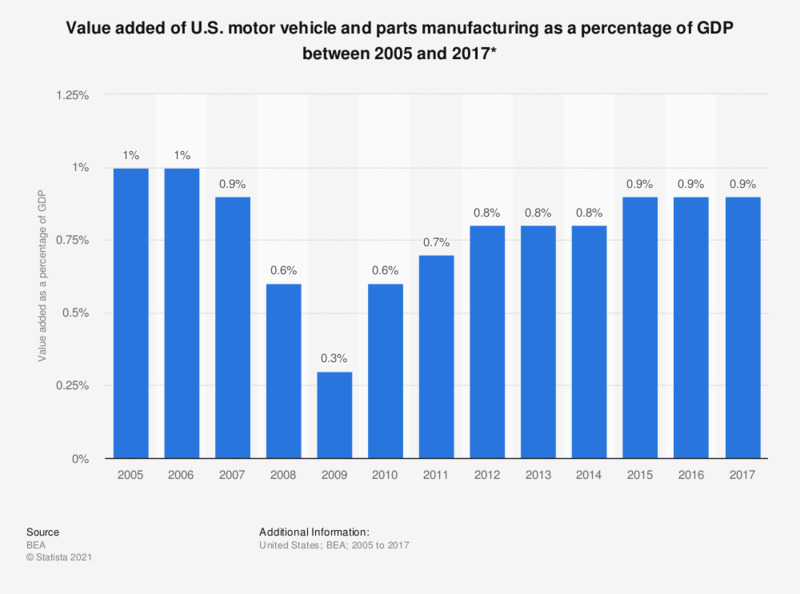 The statistic displays the value added of U.S. motor vehicle and parts manufacturing as a share of GDP between 2005 and 2017. In 2017, this sector accounted for some 0.9 percent of the nation's Gross Domestic Product. * Includes the manufacture of bodies and trailers. Everything On "Motor vehicle production" in One Document: Edited and Divided into Handy Chapters. Including Detailed References. Statistics on "Motor vehicle production"